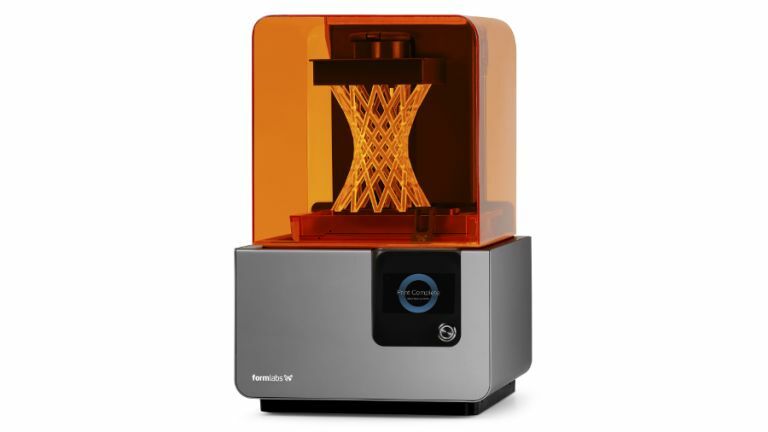 Formlabs has just launched Form 2, a new 3D printer aimed at prosumers which promises to deliver a user-friendly and reliable printing experience (which is far from always the case with this tech, as you're likely aware). The Form 2 uses a stereolithography (SLA) process, in other words it employs a laser to produce the model from liquid resin, and offers bigger prints than the original Form 1 and Form 1+. In fact, up to 40% larger models can be printed with this second-generation device compared to the Form 1+, and yet the Form 2 still nestles happily on a desktop. Quantity is nothing without quality, of course, and fortunately Formlabs has upped the game on that front too, with a 50% more powerful laser which is able to deliver better print resolution. Furthermore, a new print process also means better quality models, with a sliding peel mechanism, wiper and heated resin tank ensuring users can print sizeable solid parts with impressively intricate detailing. On the user-friendliness front, a colour touchscreen is provided for managing print jobs, and an intuitive interface is promised with the PreForm software that boasts features such as 1-click print to make the whole print process as easy as possible. The Form 2 has Wi-Fi on-board for wireless printing, and Formlabs has also introduced a new dashboard to let the user monitor print progress on a desktop computer, tablet or phone, plus alerts and notifications can be sent from the printer to your mobile. And another neat touch is an automated resin system whereby new cartridges will automatically refill the resin tank during printing. The Form 2 printer is aimed at professionals such as engineers, designers and architects, and is available to buy now priced €3,299 (around £2,400). For that outlay you get the printer itself, the PreForm software, a litre of resin and a finish kit for post-processing models. Like this? Then check out: Need new clothes? Just print them out!